Luke Jermay has performed magic since the age of 12. At age 15, he wrote his first published book 7 Deceptions (Wonder Wizards, 2000) which launched him as an innovator within the magic community. Since then he has written a total of 34 books on the subject of mentalism and mind illusion. He has performed in more than 20 countries including his native United Kingdom and the United States in venues from local pubs to the London Palladium. Best known for his use of suggestion and covert forms of psychological influence, his trademark routines are a self-induced cessation of his pulse, followed by stopping of a random audience member’s pulse, and The Chair Prediction, a routine in which he predicts which chair a spectator will choose to sit in. This is the promo video for his Sixth Sense show. Luke has written a total of 33 books and manuscripts on magic and magic theory, including 7 Deceptions, Building Blocks, Coral Fang, and 3510. 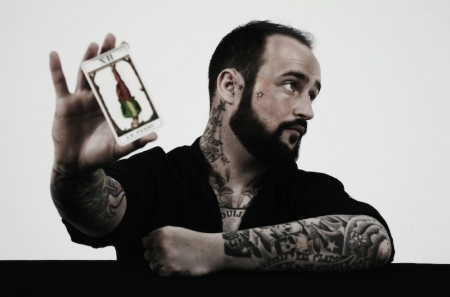 He has also worked with many other magicians and mentalists as writer, designer of psychological illusions and program consultant. His first consulting work was on season 1 of Derren Brown, Mind Control (2000), which he continued on seasons 2 and 3. Luke also worked with Criss Angel on seasons 1 and 2 of Mind Freak, and with Marco Tempest on The Virtual Magician. He also served as consultant for the television series The Mentalist. More recently he has consulted for Dynamo. On Thursday 1 May at The Magick Lounge you can expect a fun, entertaining, but most of all a thought-provoking lecture. The Luke Jermay Sheffield Lecture is definitely one not to be missed! Doors open at 7:02 and we start at 7:30. Admission is free for Sheffield Circle members, £10 for visiting magicians. Watch this space for more lectures this year. Already booked are Bruno Copin, Pete Turner, Alex Pandrea, and Karl Hein.